Halloween is over, which means the holidays are officially here. And, according to the commercials, you’re already behind on your shopping. Just kidding, you’re fine. 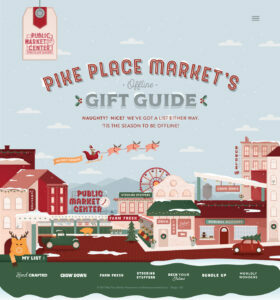 Seattle has a remarkable lineup of locally-owned shops, boutiques and craft markets downtown and throughout the neighborhoods, so it’s easy to find some really special gifts for the ones you love. In fact, there’s a campaign that touts shopping locally. The Saturday after Thanksgiving (Nov. 25 this year), known as “Small Business Saturday,” encourages consumers to shop small and local, to support independent businesses and retailers. 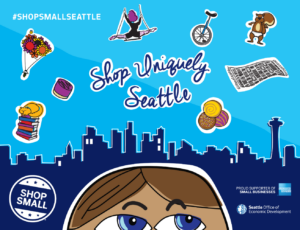 Founded by American Express, they’ve partnered with Seattle’s Office of Economic Development to develop the “Shop Uniquely Seattle” campaign and help market and promote it each year. 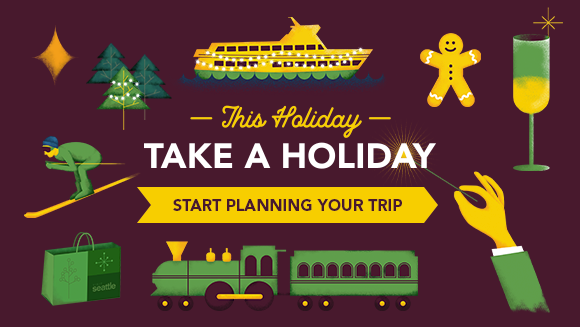 Below is just a sampling of what’s in store in Seattle this holiday season. There’s no denying Pike Place Market is a popular place, and it can be overwhelming to look for the perfect gift when there’s all sorts of shiny things that distract, like flying fish and pretty flowers. 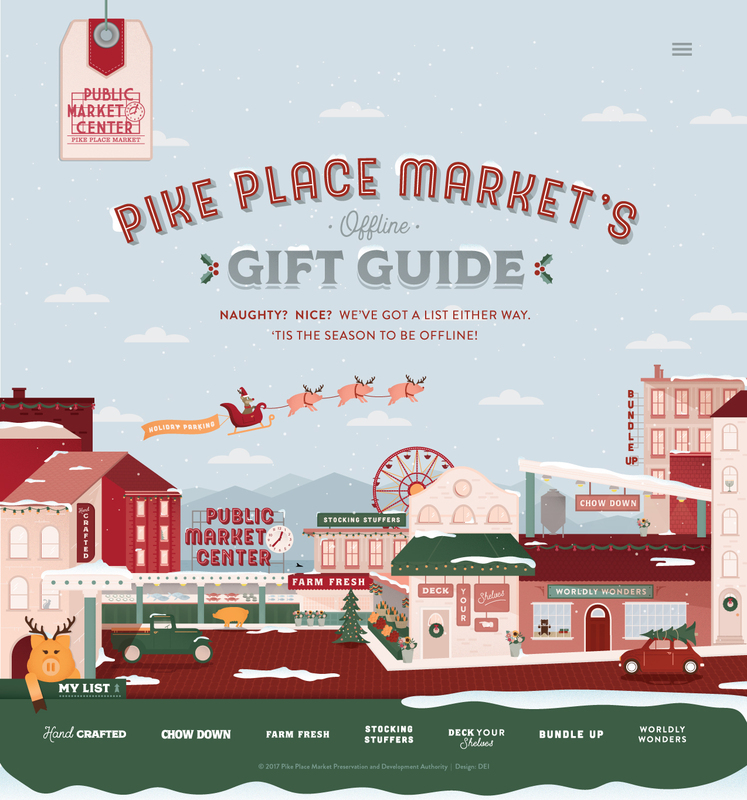 This year, Pike Place Market has created a digital gift guide (which will go live Nov. 25) where you can pick out gifts ahead of time, then the guide generates a map, so that you have a plan of attack. You’ll be able to get those Chukar Cherries, wind-up toys, MarketSpice Tea, locally-made jewelry, and homewares in no time. Get there early, so you can reward yourself with lunch at one of the Market’s many eateries after you’ve finished your list. After Pike Place Market, head south on First Avenue towards Pioneer Square. Along the way, you’ll find Seattle local favorites like Watson & Kennedy, a shop with beautiful homewares and gifts for the Francophile in your life. Or The Finerie, where you can treat yourself to the perfect New Year’s Eve cocktail frock, or a very stylish jacket for you gents. Pioneer Square is having a major retail renaissance. Flora and Henri, once known for bespoke children’s clothing, has expanded their line to include homewares and women’s apparel. Ebbets Field Flannels is where you’ll find hip, well-made sports gear that’s fashion-forward. Clementines is the women’s shoe (and clothing & accessories) shop in Pioneer Square, carrying trendy labels like Miista and Intentionally Blank. And don’t forget E. Smith Mercantile, which has artisan craft products, men’s clothing and accessories—not to mention a craft cocktail bar in back. Time for a pit stop. 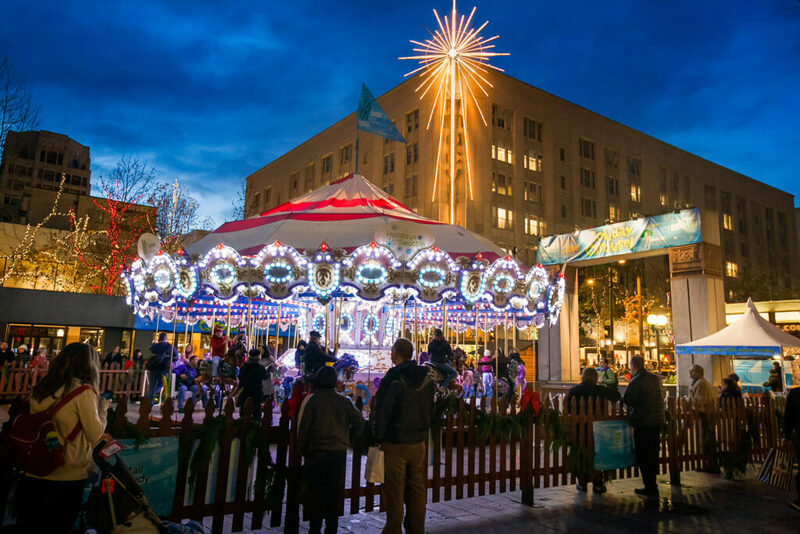 Head back north to Westlake Park and take a spin on the Holiday Carousel, have a Fisher Scone with lots of butter and jelly (a Washington State tradition), then explore the Urban Craft Uprising Holiday Market. Local craftspeople will sell their art, gifts, clothing and accessories each Thursday, Friday and Saturday beginning Nov. 24. The vendors will change each week, so be sure to stop back whenever you’re downtown. Make a weekend of it. Clearly, there’s enough local shopping to span multiple days, plus, there are so many other holiday happenings in downtown Seattle that aren’t to be missed. The Argosy Christmas Ship Festival, Pacific Northwest Ballet’s “The Nutcracker” and 25th Anniversary of Gingerbread Village are just a few of the time-honored traditions that happen each year. 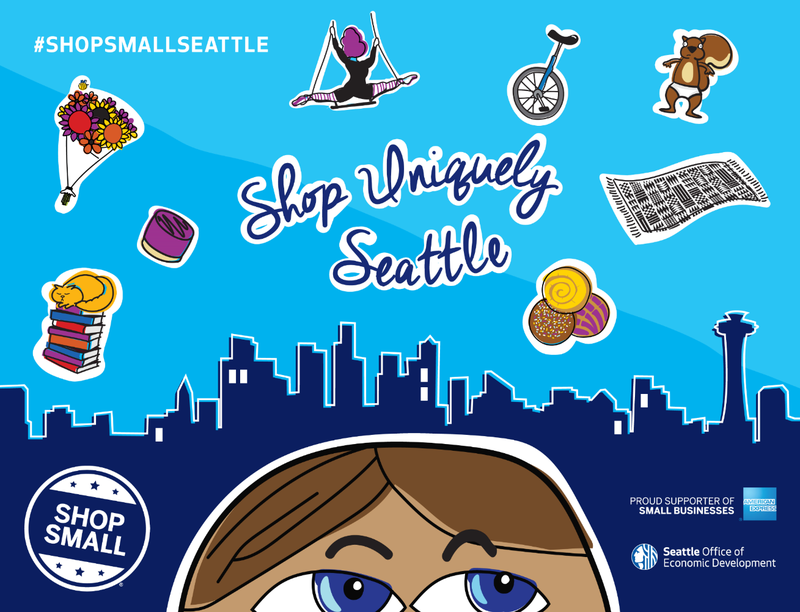 For activity inspiration (and some amazing holiday hotel packages), check out visitseattle.org/holidays and don’t forget to #ShopSmallSeattle. 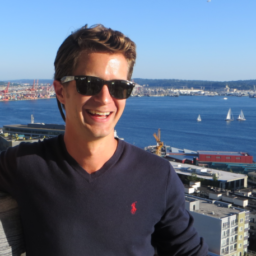 This content was written as part of a partnership with Small Business Saturday.